It's Big, It's Fast, and It's Pink: How Does Kipon's Distinctive f/0.85 Lens Measure Up? Video of Pink 40mm f/0.85 Lens BOKEH Machine! Would you mount a large, metallic pink lens to your mirrorless camera? If it's super fast, you might. Kipon is banking on the distinctive color of its incredibly fast 40mm f/0.85 lens to attract consumers, but Kai Wong delves into why it's more than just a pretty lens. Recently featured at this year's Photokina exhibition in Germany, the Kipon IBELUX 40mm f/0.85 Mark Ⅱ for Fuji XF Mount is a bokeh machine. As Wong demonstrates, it creates silky soft backgrounds when shooting wide open. However, an aperture that wide comes with the obvious drawback of an extremely narrow depth of field. The manual focus-only lens, therefore, can be challenging to shoot with. 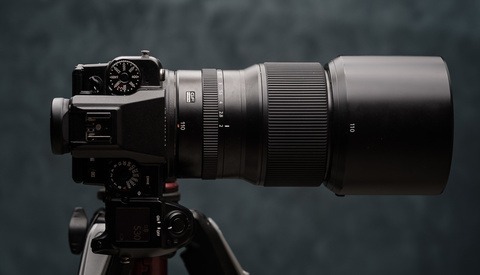 Though it weighs in at 2.6 pounds, the hefty lens doesn't carry such a hefty pricetag, selling for a shade under $1,500 on Amazon. Wong notes that the lens does show signs of chromatic aberration, something he hoped he wouldn't see in a lens at that price point. The lack of versatility makes this lens more suited to niche photographic applications than as an everyday lens. 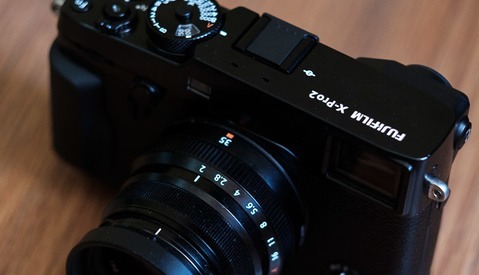 What do you think of the Kipon 40mm f/0.85 lens's distinctive color? Would you mount it on your camera? Drop us a comment below, and tell us what you think. send that monster back to R&D. Of course, if you don't like pink, the gay community will accuse folks of being homophobic. One more rant today. Says the man wearing a pink shirt in his profile pic, lol. Way to try to make an issue over nothing, dude. I'm gay, and the fact you don't like this lens in pink means absolute bullocks to me. It also comes in black, btw. I'll alert the NAACP. I assume you've used the lens if you want them to send it bak to R&D. So do you have anything of value and use to say about the lens' qualities as a photographic tool? Or are you just interested in shiny colors and homosexuality? As a straight man I bought Alien Bees in all the "gay" colors as it was easy to see which head was which. All the AB 400s were green, all the AB800s were yellow and the AB1600s were pink.AND you could actually see them in the freaking dark venues. As far as pink being "wrong" for a lens I would have to say that is because more men buy gear for image issues more than actually using the tool. I note Pentax allegedly offers something like over 100 colors for some models of cameras in Japan. I actually started a successful business making colored accessories for engine compartments back in the 80's. Up to then it had been chrome, or black. I made hoses in fluorescent greens , oranges, and blues. We custom painted engines and engine compartments in a variety of pop colors. Some guys thought it was too "girly" but we sold a ton to all sorts of people who saw the fun. Are you saying that colors don't have sexual preferences? Because that who be both uncontroversial and make total sense. 40mm is not a bad focal length for the street and pink might seem less threatening. My heterosexuality approves. It's not so much that you don't like pink and more that you accuse entire classes of people for being intolerant of your prejudice, but whatever dude. Your photos suggest an effort to be as hetero as possible. Doth she protest too much? worry less about the sexuality of the lens. After all, X mount is a male to female bayonet mount. I'd worry more about your own insecurity and inability to feel happy without causing suffering for people you dont even know. The fact that it is quite spendy, suffers from some CA, and worst of all, it's manual focus means I'd never buy it. I like auto focus. is this lens a netflix adaptation? I'd buy it, regardless of color. But not at that price. I can get a 7 Artisans lens for much less and only go from .f85 to f.95. But frankly, my Kamlan 50 f1.1 is almost unusable at f1.1. And it gets quite a lot of CA and flare. I'd expect this to be similar.